Specialty Apparel Boutique – West Denver #1476 | Front Range Business, Inc. This retail business rewards your love for a dynamic, multi-dimensional environment with a career surrounded by great client, employee, and vendor relationships. Few careers offer the fulfillment of serving visitors and locals alike! This retailer has a strong financial history, top of industry leasehold finishes, premier product lines, first-class service, and enthusiastic and talented management. The owner is in the business only 2-4 days monthly! Built with hard work and commitment, this business is solidly rooted in the community, with a strong location and affluent client base. The store makes regular capital improvements and displays high demand apparel and accessory lines, with a deep selection of seasonal goods. It’s all complemented by a professional management team and systems. The website is social media friendly. The store is located in a nationally acclaimed Commercial Center that is recognized for its industry leading design, tenant mix, and vibrancy of its pedestrian areas. It’s time to pursue your dreams in owning an energetic retail business in a Rocky Mountain market! 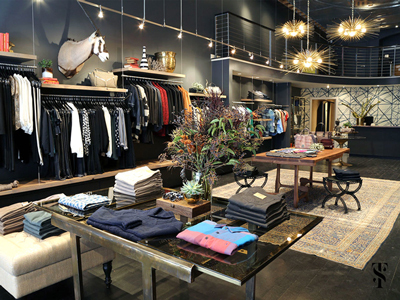 This store serves winter & summer clientele with specialty apparel and accessory goods. It is well marketed with a mature and growing brand, high customer-service culture, and EXCEPTIONAL management, financial, and inventory systems. Excellent staff manage all daily business needs. Very well managed – you’ll own this business, it won’t own you! Qualified Buyer brings 15 – 25%, plus SBA Financing. Professional retail or management experience preferred. Buyers please prepare for a professionally managed acquisition engagement. This is an industry-leading business, please act quickly! Represented by Thom Beckett. Tell me more about this business.